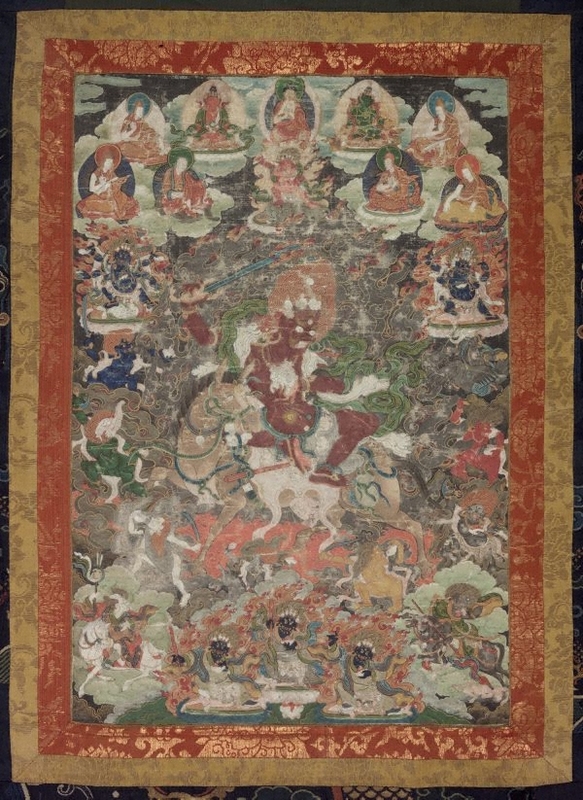 Phalden Lhamo is a major protector deity and the only goddess in the group of deities known as the Dharmapala. 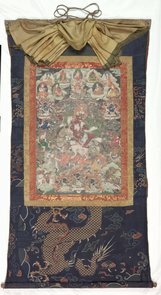 A favourite deity of the Gelukpa ('Yellow Hat') sect, Phalden Lhamo is regarded as a protector of the Dalai Lama and the city of Lhasa. 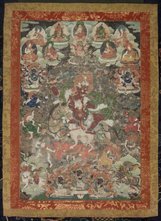 As a protector deity, Phalden Lhamo is depicted with a wrathful demeanour, riding an untamed mule through a sea of entrails and blood. Blue-black and haggish with three bulging eyes, upturned nose, ferocious mouth and flaming hair topped by a skull crown, she holds a skull bowl filled with bleeding organs and plucked-out eyeballs, and brandishes a 'vajra'-topped club. Below, her retinue includes the minor female divinities ('dakinis') Makaravaktra' ('crocodile-faced'), who leads her mule, and Simhavaktra, the red-bodied, lion-faced deity. 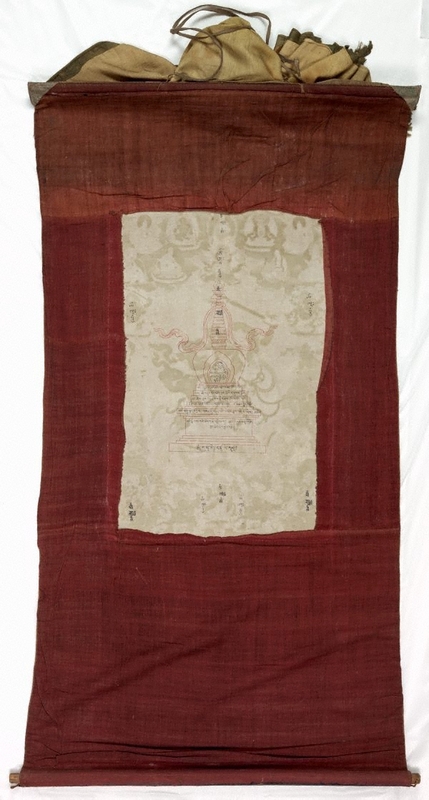 This 'thangka' retains its traditional silk brocade mount. 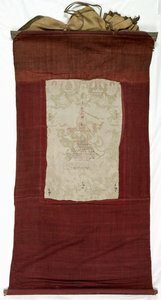 The Asian Collections, AGNSW, 2003, pg.61. The Asian Collections Art Gallery of New South Wales , Sydney, 2003, 61 (colour illus. ).